Which is fun he is a pup and as a life time dog owner I know they like to be messy. The thing with Loki is he doesn't wait outside like my previous pups for me to wipe him off and get him ready to come back indoors. The second he sees my door open he makes a v line for it and runs into the house. Leaving mud and chaos is his wake. So let me tell you more. Forget about the mop and bucket or getting on your hands and knees to scrub floors. 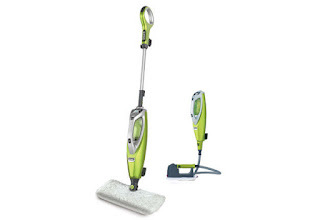 Use the Shark® 2-in-1 Blast & Scrub Steam Pocket® Mop to deep clean and sanitize* your sealed wood and hard floors. It also converts to a handheld steamer to tackle all of your above-floor messes. 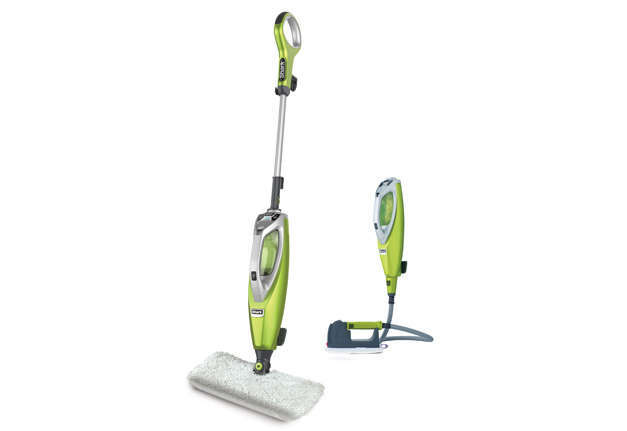 The Shark® 2-in-1 Blast & Scrub Steam Pocket® Mop is convenient, fast, and powerful. Its 3-setting Electronic Intelligent Steam Control provides full control for the right amount of steam needed, providing sanitization* on hard floors with no chemical residue. Use Lo for general dusting and Hi for more thorough cleaning. When using the handheld steamer the unit will automatically set itself in the ACCESSORY setting. And when you encounter a tough, stuck-on mess, push the Engage Scrubber/Head Release Button to release the mop head and feel the Blast & Scrub Technology delivering high-pressure concentrated steam combined with the onboard scrubber to clean stubborn stains. This is great for all my messes!! Sometimes the boys spill stuff and don't tell me until the next day. By then it is dry and so hard to get up. Just a once over with the Shark 2 in 1 and tada is is so gone! 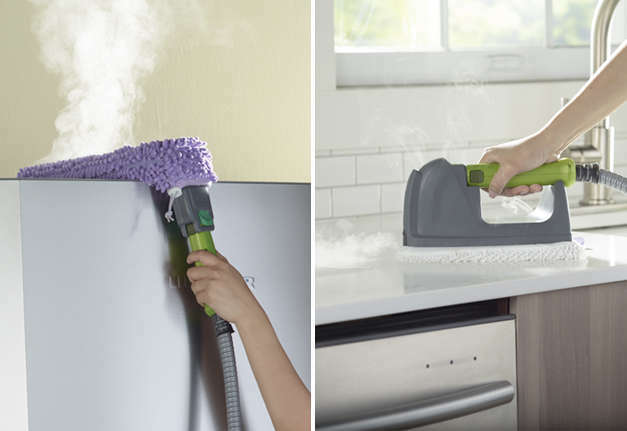 When you need to take care of above-floor messes, the Shark® 2-in-1 Blast & Scrub Steam Pocket® Mop converts to a versatile handheld steamer. Shark’s newest set of versatile above-floor accessories are designed for cleaning a variety of surfaces and emit a powerful flow of steam that aids in breaking down tough, stuck-on stains. 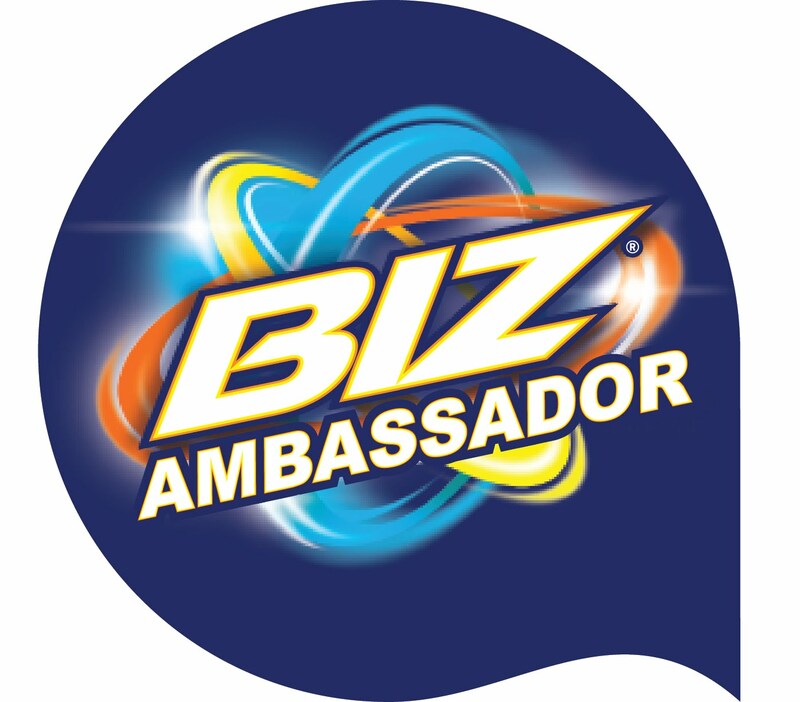 The super-absorbent microfiber pads loosen, lift, and lock in dirt and grime. And while they’re tough on dirt, they’re gentle on your surfaces. Because you know Loki's rein of terror isn't over until he flops around on the couch a little bit! I can even use the steamer there and loosen up some of that caked on dirt!! The cleaning pad features the patented Shark® Steam Pocket® design, which includes 2 distinct sides for twice the cleaning in just one pad. Just flip the mop head over to experience both sides of the pad. The pad’s multi-layered, microfiber construction effectively lifts and removes dirt while sanitizing* your hard floors. The Shark® Pocket cleaning pad is also easy to remove and wash.
* Sanitize with Rectangle Mop Head only, not in Blast & Scrub Mode and not with above-floor accessories. Not for use on unsealed floors. See Owner’s Guide for instructions.